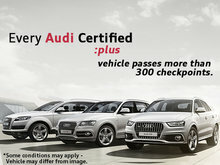 Home > Special Offers > Sales > Get 50% off Audi Care! 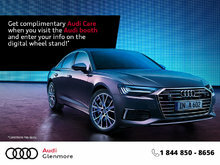 Get 50% off Audi Care! 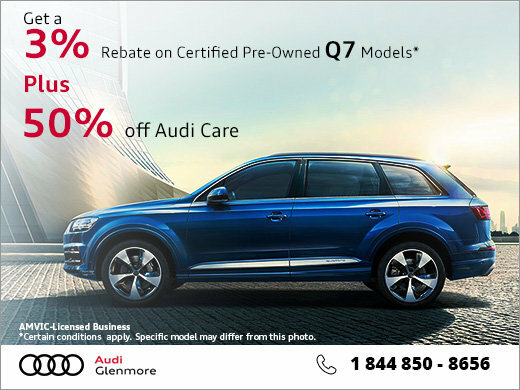 For a limited time only, get a 3% rebate on certified pre-owned Audi Q7 models PLUS 50% off Audi Care! Contact us today to benefit from this offer while it lasts. Certain conditions apply. Contact dealer for full details. 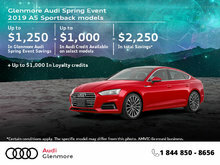 I wish to receive recalls, news and special offers emails from Glenmore Audi. 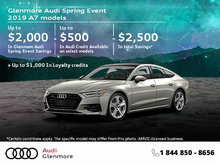 Get the 2019 Audi A7 today! The Audi Monthly Sales Event. 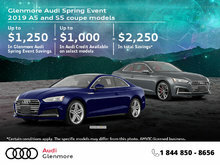 Get the 2018 Audi A5 Coupe Today! Get the 2019 Audi Q7 Today! 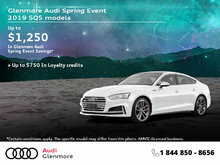 Get the 2019 Audi A5 Sportback Today! 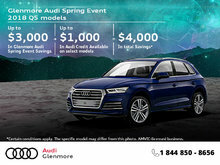 Get the 2018 Audi Q5 today! 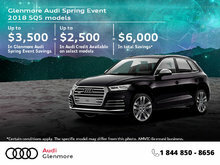 Get the 2018 Audi SQ5 today! 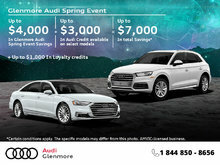 Get the 2019 Audi SQ5 today! 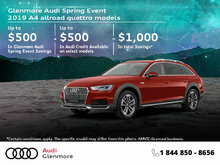 Get the 2019 Audi A4 Allroad Quattro Today! 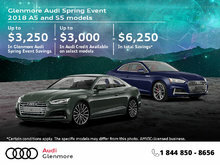 Get the 2019 Audi A5 Coupe Today! 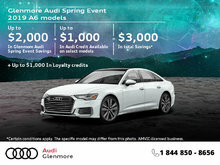 Get the 2019 Audi A4 Sedan Today! 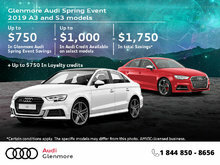 Get the 2019 Audi A3 Sedan Today! 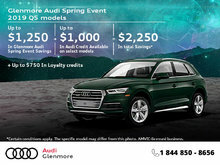 Get the 2018 Audi Q7 Today! 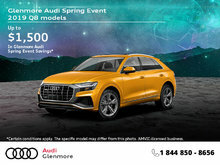 Get the 2019 Audi Q8 Today! 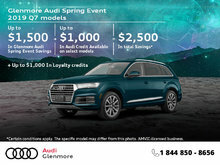 Get the 2019 Audi Q5 today! 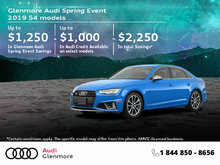 Get the 2019 Audi S4 today! 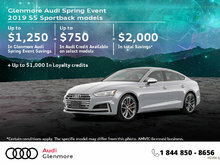 Get the 2019 Audi S5 Sportback today! 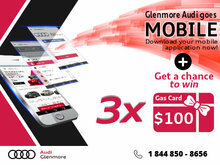 Win Big With Glenmore Audi's New Mobile App! Follow us on Facebook to take advantage of our contests and exciting offers!